It's election day in these United States, and so Ed and John talk politics. Well..mostly Ed does, including his youthful experiences driving Sam Brownback all over Kansas, and fishing (no joke) with Paul Ryan. With diversions about chicory-laced coffee, coffee-brewing apparatus, meatballs on sticks, crab dipped in turkey fat, and our generation's uniform of dishevelment. Follow links to Raven's Brew Coffee, Ole's Country Stores, Chemex, Tammy Baldwin, Lynne Tillman's American Genius, and the Inverse Room song "Counterfeit Umbrella." 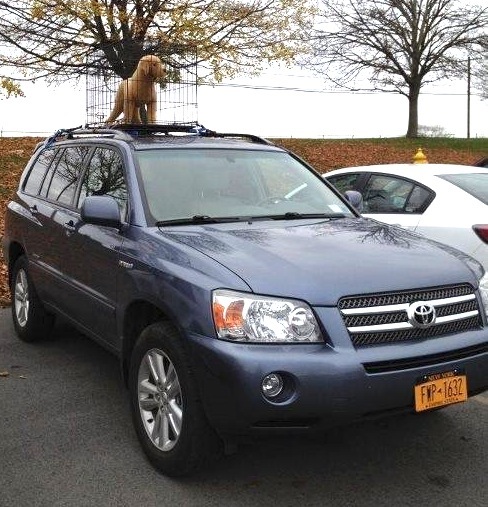 Dog-on-car photo courtesy of Brett Bossard's friend.